Coolest fleece hoodie ever! 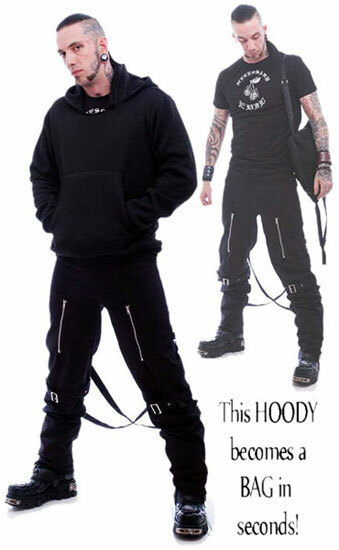 It converts from a traditional hoodie into a carrying backpack with enough room for a phone and change. It also triples as a pillow/cushion. 63% polyester, 32% rayon and 5% spandex. Imported from the UK.